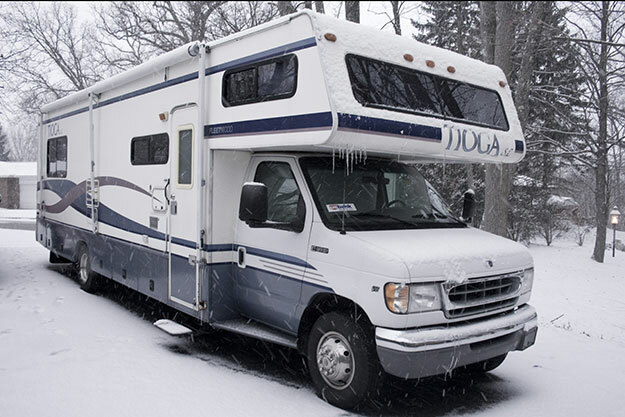 There is a certain set of people who want an RV that can be lived in during all seasons. They want their home on wheels to be comfortable in the heat of summer, the cold of winter, and everything between. The truth is that most RVs are not built for this kind of use. But that doesn’t mean they aren’t out there. If you do an online search for the term “Four Season RV”, the result will be a lot of truck campers and motorhomes or trailers that can withstand high levels of heat and cold. Beware! Not all of them are what the manufacturer implies. Sometimes the only difference between a normal RV and a “Four Season RV” is the weight surplus and the high price. What is an Four Season RV? You won’t find any industry-wide criteria in regards to materials or design that designate an RV as four season worthy. In this article you will learn about the exact characteristics needed in an all-weather RV. With this information you can purchase the perfect RV, or even weatherize your existing RV for any type of weather. How Will You Use Your Four Season RV? Will you take your RV on a short or long trips? Will you choose hook-ups or dry camping? Is your RV ready for off-road and remote, rugged areas? Will you turn your RV into a permanent living space? 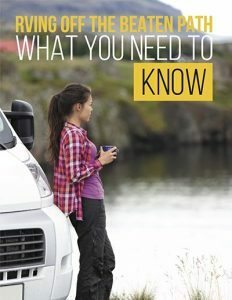 These questions will help you determine the specific features you need in a four season RV such as amount of space, solar panels, extra heating or cooling, etc. Now you are ready to go shopping. Once you know the desired living conditions and features needed, it’s time to find a four season RV at an affordable price. A great place to start is with the RV Consumer Group. These experts on this website are trained and informed about the quality materials that make a great motorhome. You will learn about the overall durability and comfort of a rig as it is tested at both severe hot and cold temperatures. They also have these informational books and guides to help with your purchasing process. There are four important factors to consider when purchasing a four season RV or improving an existing RV to be four season ready. Weekend Use (WE): If you plan on a stay short during temperatures of 40-80 degrees Fahrenheit. Vacationing Use (VA): If you plan to spend more than two months in an RV with temperatures of 30-90 degrees Fahrenheit. RT: RV trekking (RT): If you love off-road RVing and want to experience the wilderness thoroughly. All the occupants of this RV should stay comfortable during freezing temperatures or extreme heat waves. Snowbird RVing (SB): If you plan to spend more than 6 months in temperatures varying from 30 to 90 degrees Fahrenheit. 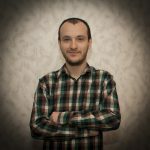 Fulltiming (FT): If you plan to live full-time in your RV. 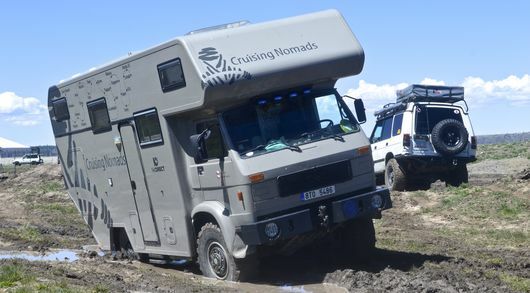 The RV has to withstand all types of temperatures and has to perform exceptionally off-road. What Construction Materials Make a Great Four Season RV? Construction materials play an important role in determining the all-weather capability of an RV. All manufacturers have their own material choice, and most list the material on their websites. Check them all and contact them to see what packages they might offer you. Remember, you are looking for high quality construction materials. Four Season RV have better sidewalls & roofs, ceiling insulation, and enclosed and insulated holding tanks. You should choose the manufacturer carefully. The better their RV’s reviews, the better the four season RV will be fabricated for you needs. A nice living area where occupants can experience a comfortable stay during temperatures lower than 20 degrees and higher than 90. Sufficient insulation to prevent holding tanks and valves from freezing at any temperature. Air circulation that keeps the RV cool at any heat and reduces condensation. Insulation to keep unwanted air from entering the RV through windows, walls or cabinets. It can be hard to find all that in one RV, although a lot of manufacturers claim that they can provide a four season RV. It’s important to determine for yourself if the RV is qualified. Do a side-by-side inspection of the materials used in the manufacturing process. Visit online forums and talk to users that are familiar with four seasons RVs. Inspect the unit for unwanted weather damage such as mildew, water spots, or rot. OR, you could just buy one and live in it for a while. Add self-adhesive insulation to your windows. Add new weathers stripping around the entry door. Use foam to cover vents or spaces that let cold air slip inside the RV. Apply foil-backed insulation sheets to line your windows. Don’t worry about freezing and buy a tank heater. Cover water lines and dump valves with heat tape. Add antifreeze inside your holding tanks when not in use. Purchase a dehumidifier to rid the air of excess condensation. Try a hydronic heating system. Are You Ready for a Four Season RV? There are countless possibilities when it comes to four season RVs. Be sure to seek out the one that suits your own needs for climate and travel conditions. Remember that a typical RV is not built to withstand extreme conditions and look for quality materials, better heating and cooling options, and tight windows and doors. In the end, you might need to make some improvements yourself to get the four season RV to suit all your needs.